Members of this cult seek to harness the power of Yan-C-Bin, the Prince of Evil Air, and ravage the world with hurricanes, blizzards, and sandstorms. They use magic to levitate and assume gaseous form. Air cultists are stealthy, evasive, manipulative, and untrustworthy. They would rather slip through an enemy’s defenses than confront their enemy head-on. 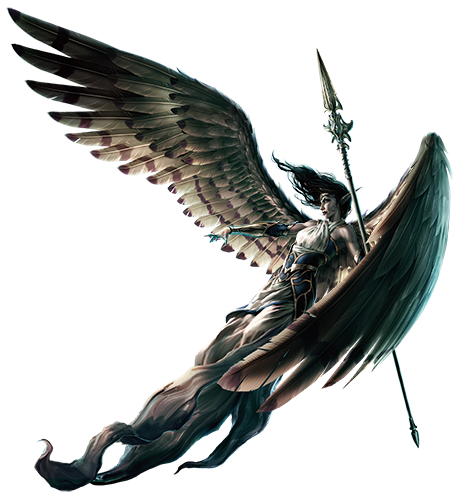 Aerisi has attracted a coterie of loyal followers, all of whom are convinced she’s an Avariel. She is attended by a sycophantic band of singers and flute-playing minstrels called the Windwyrds. More subtle than the other princes, Yan-C-Bin prefers to operate unseen. He studies his enemies from afar, attacks swiftly with surprise, and is gone before they can retaliate. His natural form is an invisible column of howling, swirling air. His alternate form is a gaunt, venerable, dark-skinned human man with wispy white hair and glowing white eyes.